Information designer Giorgia Lupi demonstrates how data can be used to gain a better understanding of humanity. 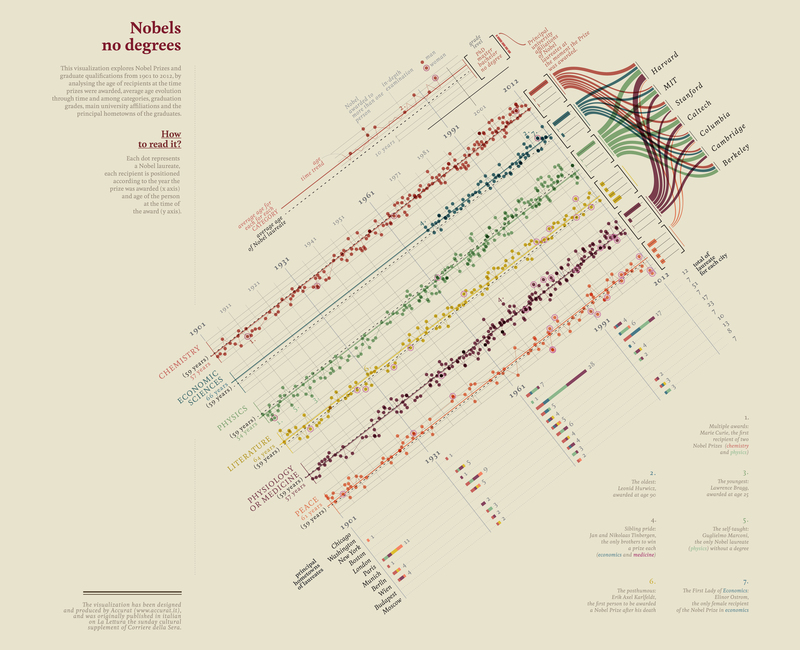 Through design, she makes data accessible, intriguing and beautiful. According to Giorgia, it’s important to remember that data doesn’t actually exist. It’s a tool that we use to represent reality, enabling us to coldly document and cross-examine details such as the ages of Nobel Prize winners, or the number of tourists in a particular city each year. If we think of data as a tool, or a placeholder for the “real thing”, we can begin to understand its unique power to help us abstract and analyze our reality, each time according to specific stats. This way, it helps us make visible the hidden patterns that are inherently part of every aspect of our world. Accurat for La Lettura, Corriere della Sera. Part of a series of experimental data visualizations for the weekly cultural supplement of the largest Italian newspaper. It seems that Giorgia has been interested in visualizing the invisible for a while. Despite her Masters in Architecture, she claims she has never built any houses. Even during her studies, she leaned more towards urban mapping projects, fascinated by the scale of the city and how to represent the many layers of information within an architecture project. Having later moved from Italy to New York, an experience she describes as highly significant to her practice, she has intimately got to know two very diverse places. 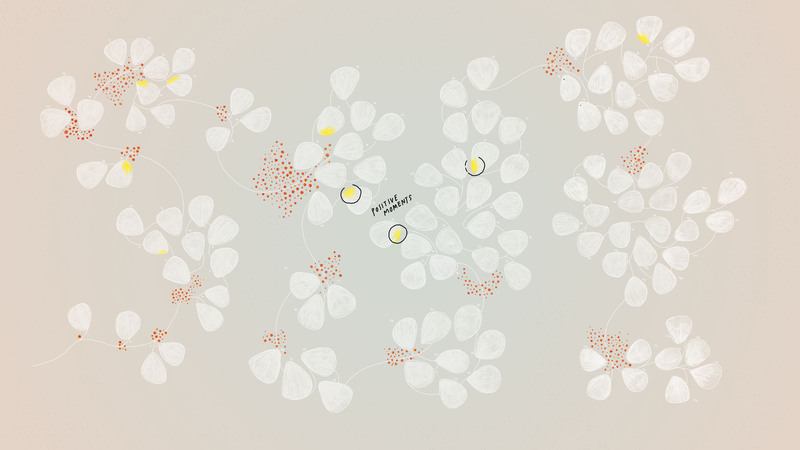 “After my graduation and for the following four years, I collaborated with different interaction design firms in Italy, primarily working on information mapping projects and interactive installations displaying complex systems of knowledge,” explains Giorgia. From there, it was a natural progression to discover that data can be an incredible tool with which to find and build stories and ideas, while visually narrating it. “I simply fell in love with this world and the realms of possibilities it opens,” Giorgia recalls. 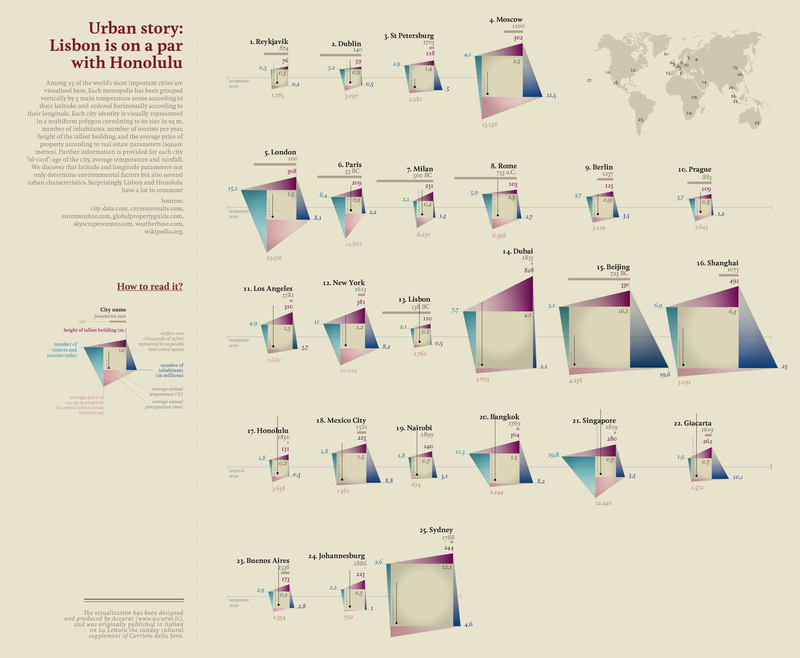 Although architecture and data visualization are clearly very different disciplines, Giorgia sees their similarities. Both involve numbers and organizational principles that are expressed visually and in a way, mix science and art. From an aesthetic perspective, there is a resemblance in the way Giorgia composes her data visualizations with hand drawn floor plans, elevations and perspectives, something that is especially prominent in her firm, Accurat’s, work for La Lettura, the weekly cultural supplement of Italian newspaper, Corriere della Sera. Just like in architecture, or any other form of design, the first step in a new project is to form some kind of brief that will guide you throughout. Giorgia begins the process by asking herself and her clients many questions: “What is important to discover here? What is the value that data and data collection can bring? What are the exact goals of this process? Only from there can a meaningful data collection or data analysis process begin,” explains Giorgia. Once analyzing the most crucial elements of the data collected, she starts sketching. “For many readers, the word ‘data-visualization’ might be associated with heavy programming skills, complex softwares and huge numbers,” says Giorgia. “But for the most part, I use old-fashioned sketching and drawing techniques on paper as my primary design tool: I sketch with data to understand what is in the numbers and how to organize those quantities in a visual way to gain meaning out of it, even when designing for a digital or interactive application.” By sketching freely, she removes the “constraints” of technology, enabling novel ways of thinking and designs that are created uniquely for the type of data she is dealing with. The final stage is normally done digitally, as she works together with her teams of designers and developers at Accurat. 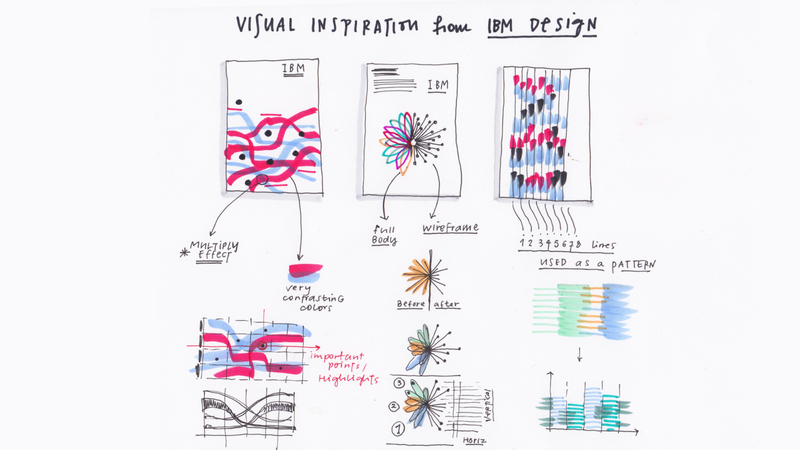 Accurat for IBM Design, work in progress sketches. For Giorgia, the project was especially interesting, as it not only involved creating “base models” or “prescriptions” that team members could use to visualize data in different cases, but also focused on maintaining the same language in any given situation. Working side by side, the two teams from Accurat and IBM Design worked on translating all of IBM’s heritage into the new data visualization design, identifying what “looks like IBM” and translating it into tangible ideas. The result is an interactive language that incorporates shapes, colors and animation into a rich, comprehensive visual vocabulary. Part of what makes Giorgia’s work so intriguing is the fact that it is extremely varied, from large-scale projects with renowned brands, such as IBM, Google News Lab and Starbucks, to much more intimate, personal projects. A recent endeavour of this sort was Dear Data, a year-long project she embarked on with designer and artist Stefanie Posavec. 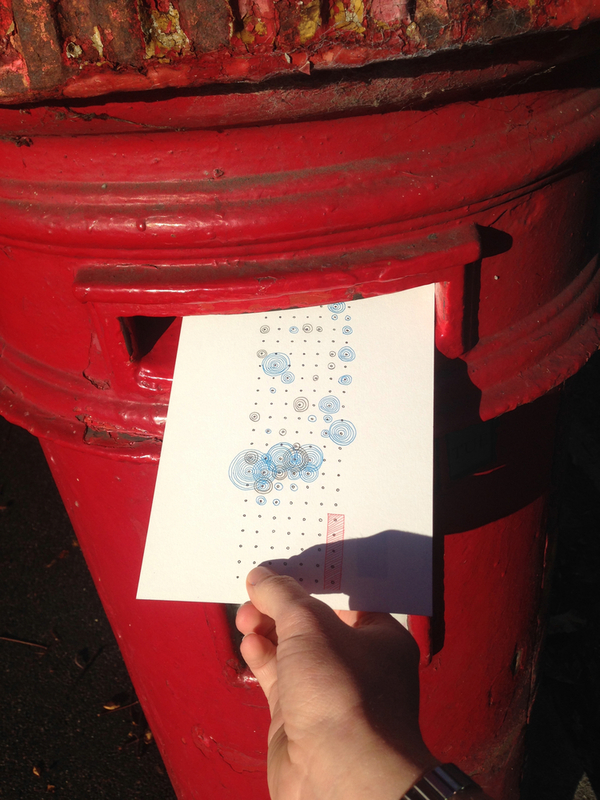 Each week, the two sent hand-drawn postcards to one another, all the way from London to New York and vice versa. The idea was to collect and measure various aspects of their lives and then use this data to create drawings on postcards. Covering themes from the number of complaints they heard that week, to the indecisions they faced or the laughter they experienced, the two gradually got to know one another, and in this beautiful and curious way, developed a friendship. Dear Data, by Giorgia Lupi and Stefanie Posavec. It seems that finding the time to embark on self-initiated projects can be highly valuable – even if you’re an established designer, managing your own studio and bombarded with much commercial work. “I wanted to discover an untapped well of creativity within myself, to broaden the concept and idea of what ‘data’ even is, and to step out of my comfort zone and into a collaborative learning experience,” explains Giorgia. 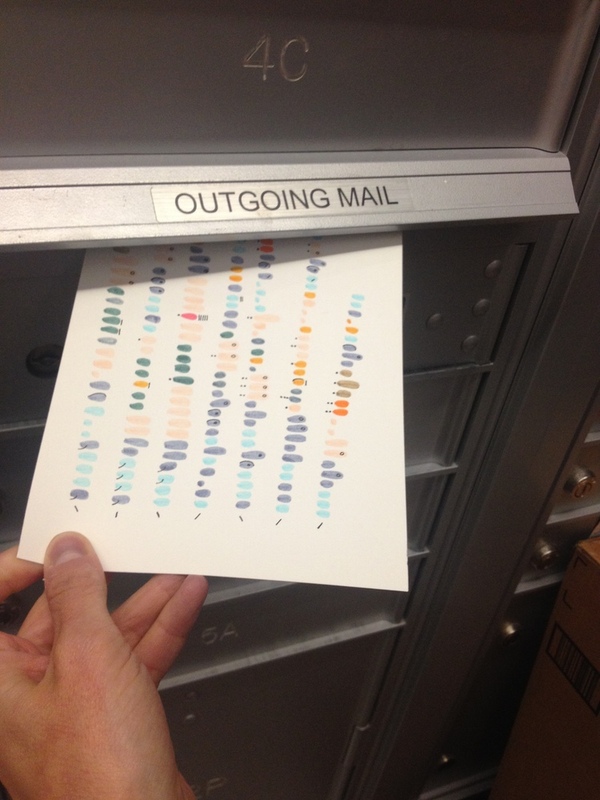 “I hoped the project could live a life of its own, but I honestly wasn’t expecting such a positive reaction from the outside.” Not only did the project spark reactions from many people who began creating their own data drawings – the original postcards have since also been acquired by the MoMa as part of their permanent collection. It comes as no surprise that so many people were drawn to the postcards. As well as these very relatable human experiences, the project also opens up an opportunity for us to learn more about ourselves, inviting us to lay out and analyze our own day-to-day lives and emotions. Giorgia also feels that many of us are looking for different ways to feel more creative and are hungry to find more occasions to make things. That is why her and Stefanie have since come out with a wonderfully illustrated, interactive new book, Observe, Collect, Draw! 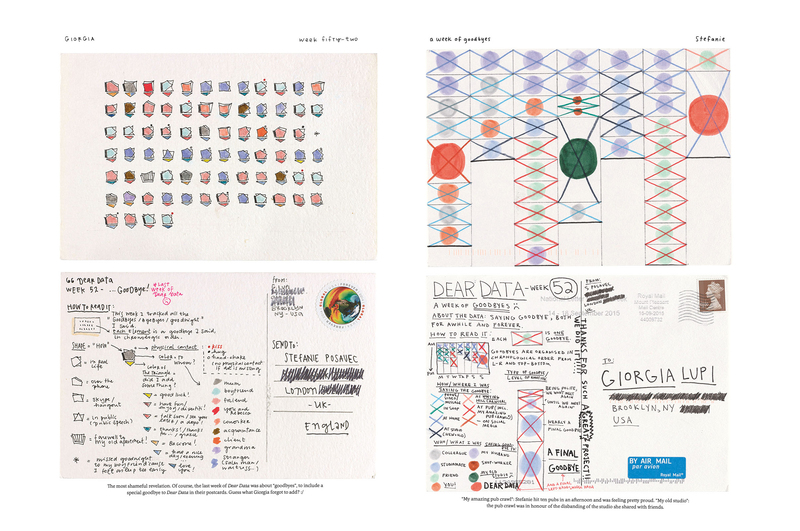 – A Visual Journal, that teaches us how to collect and draw our own personal data. 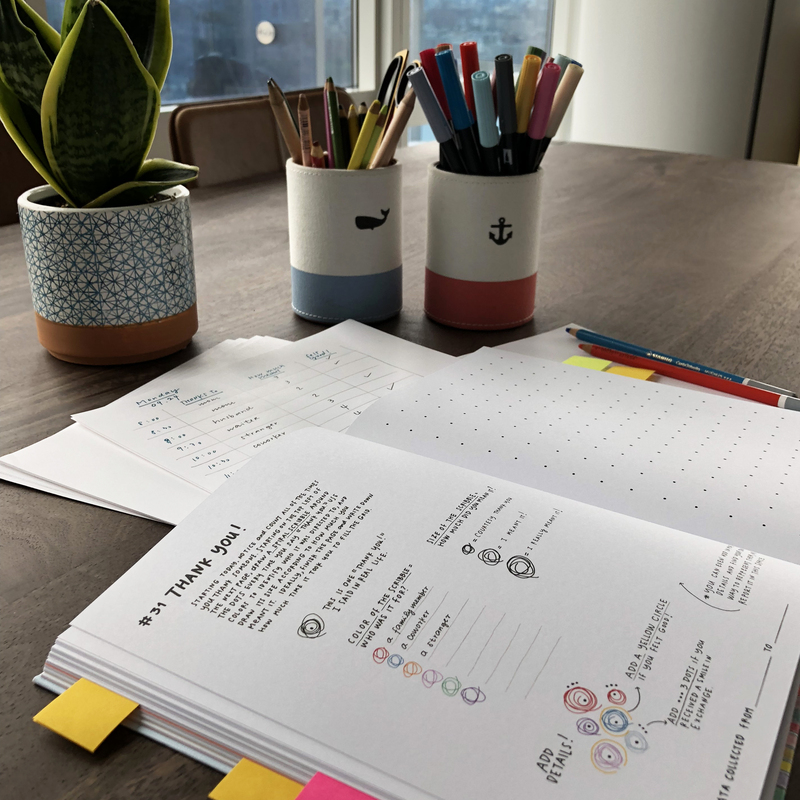 A spread from Observe, Collect, Draw! – A Visual Journal by Giorgia Lupi and Stefanie Posavec. 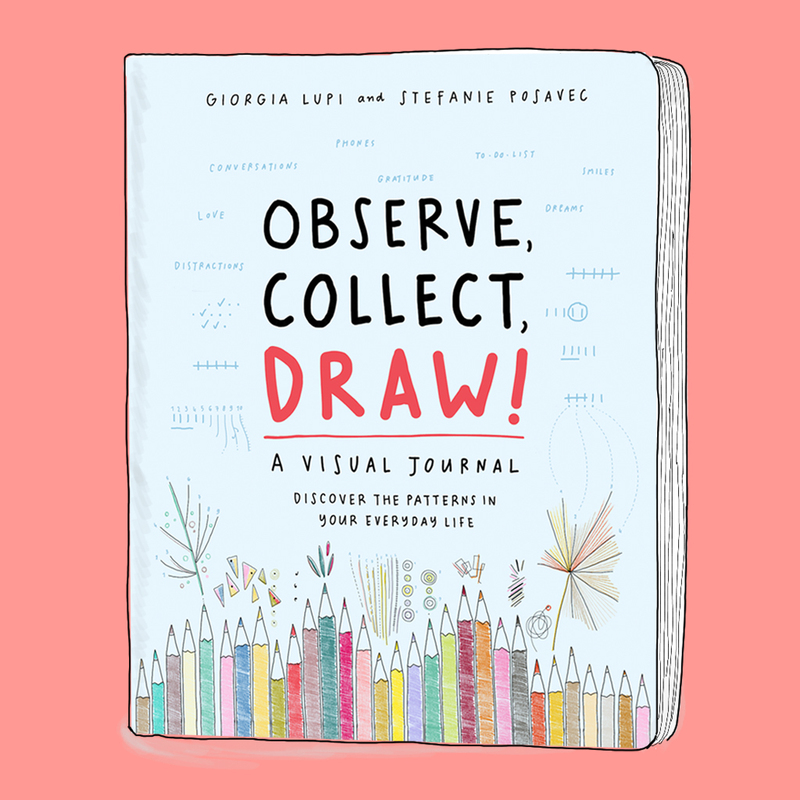 Observe, Collect, Draw! – A Visual Journal by Giorgia Lupi and Stefanie Posavec. Giorgia’s working sheet as interpreting Kaki’s data collection, from Bruises – The Data We Don’t See by Giorgia Lupi and Kaki King. 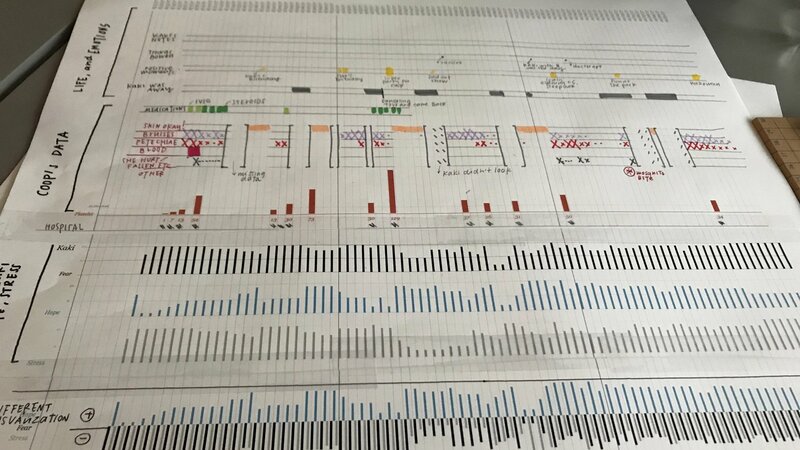 This non-scientific representation of data that resulted in a musical score and a data visualization, may not be what you would typically expect from clinical data, but it does paint an accurate sensorial picture of this personal journey. The point of the research was not to come up with a scientific breakthrough, but rather to explore how radical artistic experimentations of this kind can be a starting point to reconsider what we define as data in the first place. Speaking of the project, Giorgia says, “There are so many ways to look at pathology and there is so much information that is vital to help the healing journey of a patient and of a family, and that can inform the decision making process. 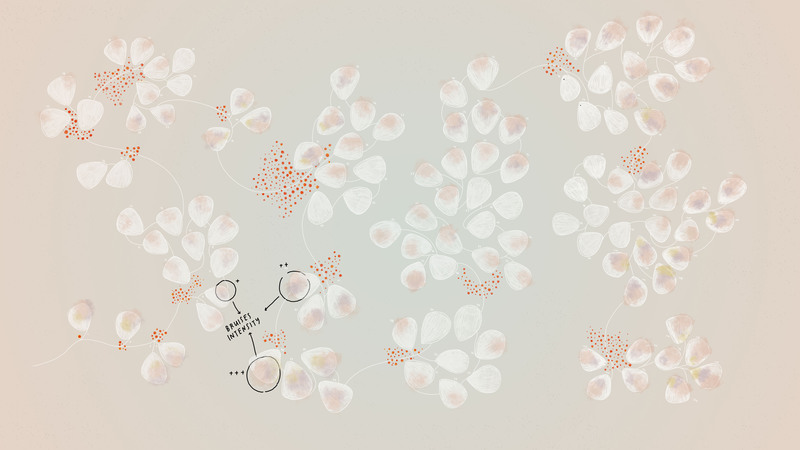 But sometimes we completely forget those softer, more intimate, even fuzzy types of data.” This highly intimate data is accurately and sensitively presented in the final data visualization, with its pastel shades that subtly reference Kaki’s daughter’s bruises, delicate lines and resemblance to nature. Bruises – The Data We Don’t See by Giorgia Lupi and Kaki King. There is certainly a lot to learn from Giorgia’s unique work. From a personal perspective, it seems that her projects encourage us to connect between certain aspects of our lives, understand the relationship between these little bits of data and through that, draw conclusions and gain a better understanding of ourselves. One of Giorgia’s hopes is that her work will inspire people to see the world around them through a multifaceted lens, and ultimately to inspire them to create their own moments for observation and creativity. As Giorgia and her team at Accurat continue to work on innovative new projects, she plans to keep creating, challenging herself, raising her personal bar and living a life filled with passion and curiosity for what she does everyday. “I hope that in the future I will be in places and situations that I absolutely cannot imagine now,” she says. “I’d like to work more and more within fields where our job as information designers could really make a difference for individuals and for the society we live in: finding new points of views on non-resolved phenomena, tackling important issues, and revealing unexpected facts and stories in a powerful visual way, by means of data-visualization.” Whatever new adventures Giorgia decides to undertake, we’ll definitely keep ourselves posted. And for now, we promise never to wince in fear again from the word data.